1909 was a year of many “firsts.” U.S. Navy engineer Robert E. Peary became the first man to reach the North Pole. The first transcontinental auto race took place between New York and Seattle, and up in the sky, French engineer Louis Bleriot made the first English Channel crossing in a heavier-than-air machine. The United States Mint was preparing a first of its own: a regular-issue U.S. coin honoring an actual person. Defying a tradition that dated back to George Washington’s presidency, plans were made to honor the 100th anniversary of Abraham Lincoln’s birth with a new cent featuring a bust of the beloved president. For more than a century, federal officials had followed George Washington’s lead and avoided the depiction of presidents, past or present —or any other recognizable individuals—on the nation’s circulating coinage. Thus, when the notion of a Lincoln coin arose, it encountered real resistance from traditionalists. Skeptics and critics were no match, however, for President Theodore Roosevelt. “TR” had a personal interest in revitalizing U.S. coinage. Having pushed through exciting new designs for the four gold denominations, he turned his attention to the cent, where the Indian Head design had held sway since 1859. He was steered in this direction by Victor David Brenner, a Lithuanian émigré with tremendous artistic talent and enormous admiration for Abraham Lincoln. Their paths crossed in 1908, when Roosevelt posed for Brenner for a Panama Canal Service medal. The artist had already modeled a plaque and medal for Lincoln’s birth centennial and suggested a Lincoln coin. The president readily agreed and asked him to submit proposed designs. Brenner’s obverse design featured a portrait of Lincoln facing right, and for the first time on the cent, the motto IN GOD WE TRUST. Flanking Lincoln’s bust on the left was the inscription LIBERTY, with the date on the right. The reverse design showed two sheaves of wheat, one on either side, framing the inscriptions ONE CENT, E PLURIBUS UNUM and UNITED STATES OF AMERICA. The highest points on the obverse are Lincoln’s cheekbone and jaw, on the reverse the tips of the wheat stalks. These are the places to first show wear. The controversy over Lincoln’s portrait soon died away; most Americans found the design appealing. A new dispute developed when the first examples of the coin, released in August 1909, were found to bear the artist’s initials V.D.B. in large letters at the base of the reverse. Public outcry led to their quick removal, and that in turn resulted in the creation of a major rarity: Only 484,000 cents were minted in San Francisco with the initials, and the 1909-S V.D.B. cent has been the most coveted coin in the series ever since. S-mint cents of 1909 without the V.D.B. are scarce, too, but, with a mintage of 1.8 million they’re four times more “common.” Brenner’s initials were restored in 1918, in much smaller letters, on the shoulder of Lincoln’s bust. Lincoln cent mintages were substantial from the outset. The Philadelphia Mint (no mintmark) was the largest producer, with the San Francisco (S) and Denver (D) facilities augmenting production in most years, Denver not starting until 1911. Philadelphia alone minted more than 100 million in 1909, and in 1941, total single-year output topped one billion for the first time. 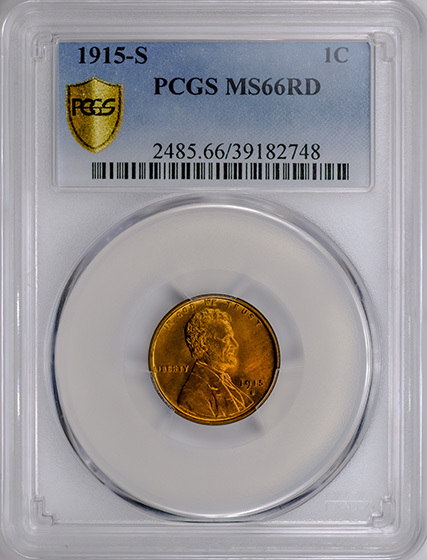 Matte-proof Lincoln cents were produced in Philadelphia from 1909 through 1916, and brilliant proofs were struck from 1936 through 1942 and again from 1950 through 1964. Brilliant proofs have been made annually since 1968 in San Francisco. Despite the lofty production levels, many Lincoln cents enjoy substantial premium value; for though the supply is great, the demand is equally so. Collectors frequently make this the very first series they pursue because of its high visibility and relative affordability, and many stick with it even after graduating from the novice ranks. 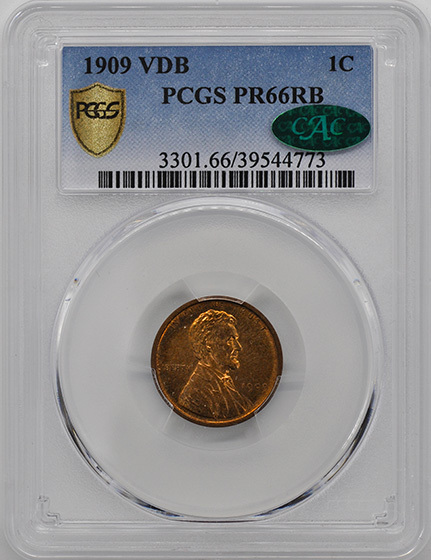 Not counting errors or other unusual varieties, only two coins in the series have mintages below one million: 1909-S V.D.B. and 1931-S, a Depression-era issue with a mintage of 866,000. S-mint issues generally have had the lowest mintages. One of the most coveted keys in the Lincoln series, though, is a Denver cent: 1914-D. Just 1,193,000 pieces were struck, and relatively few were preserved in mint condition. Other scarce issues include 1910-S, 1911-S, 1912-S, 1913-S, 1914-S, 1915-S and 1924-D.
Offbeat pieces rank among the most valuable in the series. One of these is the 1922 “Plain”—actually a Denver Mint product on which the D mint mark below the date is all but gone. This coin came to light only because no cents were minted in Philadelphia in 1922, the only time that’s been true in the series. Other Lincolns avidly sought by collectors are “doubled-die” errors. These coins have obvious doubling in the date and/or inscriptions. 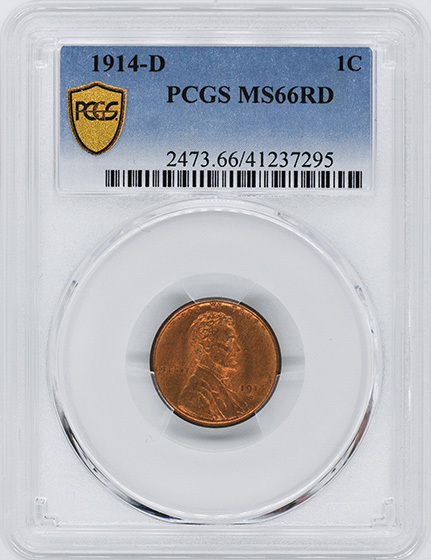 Perhaps the most dramatic, and most valuable, error of this type occurred on the obverse of small numbers of cents struck in 1955 at Philadelphia. Major doubling also can be found on the obverse of some cents dated 1936. 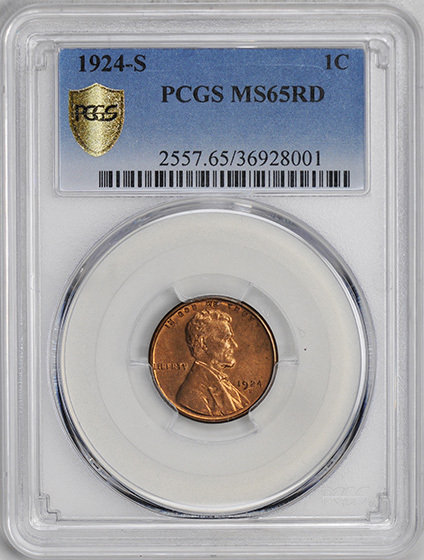 In 1943, with copper urgently needed for combat-related purposes, the Mint made Lincoln cents from zinc-coated steel. The substitute proved unsatisfactory, and from 1944 through 1946 the Mint instead used the brass alloy first tried in 1942; this lacked the small percentage of tin employed before and after the war. At least a portion of this brass was obtained from salvaged cartridge cases, which did the job nicely. The one-year experiment left a lasting legacy when the Mint inadvertently struck minuscule numbers of 1943 cents in bronze and a slightly greater number of 1944 cents in steel. Both are quite rare and valuable. Many years ago, a false rumor spread around the country that Henry Ford would trade a new car in exchange for the fabled 1943 copper!